So great news on the TV front for Padres fans this season, right? Stupid jerkfaces Time Warner are finally carrying Fox Sports San Diego so all these new areas of the county can see the Padres games. Unfortunately, this doesn’t 100% solve the problem. When I first moved back to San Diego two seasons ago, I moved back with only what would fit into my 2 seat convertible with no trunk. So pretty much clothes, computer and XBox 360. All of the rest of our stuff was staying in DC until we could get my wife’s job transfer to here in place. Wanting to keep the spartan living conditions thing going, I opted to get a 20 game season ticket package and MLB.TV instead of cable. This sounds great, but then I realized that I’m in the home territory of the Padres. 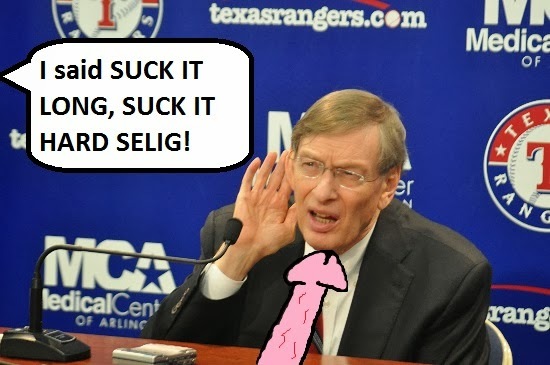 That means all of the games are totally blacked out – THANKS SELIG. So I started brainstorming. There are all kinds of options online, mainly subscribing to a VPN or a proxy to change your IP address. This is all well and good if you are accessing the games on a computer, but I’ve got an iPhone and an iPad that I wanted to use to send the games to my 60″ TV via Apple TV. With how locked down Apple has these devices, it’s pretty impossible to use a VPN/proxy with the At Bat app. Luckily, I found a simple solution that I will unveil to all of the MS Paint dong loving readers of this blog. 1. Jailbreak your device. This is easy. Like you literally just plug in your iPad or iPhone into the computer, go to http://evasi0n.com/, follow the instructions, and jailbreak your device. It’s so easy a cripple could do it. 2. Open up Cydia. Cydia is, of course, the app store for jailbreak apps that gets installed during the jailbreak process. 3. Search for Fake GPS. So quick background on how the At Bat apps determine your location. On your computer, MLB.tv is using your IP address to determine where you are when it spots that you’re in Padres territory. That’s why a proxy server in, say, Massachusetts, tricks MLB.tv into thinking you are in Boston. On the iPhone/iPad app, the At Bat app is using location data, or more specifically, your GPS location. Luckily, the creators of Fake GPS (there are other apps you could try too, Location Spoofer, LocationHolic, FakeLocation, etc.) have made an app that with a simple tap on a map, will report that your location is elsewhere. So the Padres are playing the Cardinals at home? Just tap that you’re in Florida (If you locate in the Cardinals territory in this example, the At Bat app will black you out thinking you are trying to watch your home Cardinals in your home in Missouri). 4. Give it a minute or so, then open At Bat and load your game. Voila! Sometimes it would get finicky and I’d have to close the app completely and restart a few times, but I’d always get my game after a minute or so. Other times, it works perfectly on the first try. 5. That’s it. Now for you cord cutters, you can just subscribe to MLB.TV Premium for $129 and get the full season of the Padres games on your TV (assuming you get the HDMI cable or Apple TV). yup it looks like mlb is now using a vpn ! to get arouind this no worries! watch this video to help ya set up a free VPN . Set your device on the Location Faker to UK . Set up the device on the youtube but before playing the game go to safari yahoo uk.websitevpn.com and make sure to agree to the terms then go to the mlb at bat app to watch the game. once the game is working fine just go back to the setting and deselect the vpn with out closing the mlb at bat app and you'll get high quality. trust me were all looking for a better solution to this but this does work .